The Golden State Warriors are your 2017 NBA champions. Kevin Durant won his first NBA championship and NBA Finals MVP title. There’s no denying that the Warriors deserved this title. They won, as Kyrie Irving put it in his post-game press conference, “fair and square.” They were the better team from start to finish. No shame in admitting that. Whether you’re a Warriors fan or a Cavs fan, Golden State earned this championship. While we’re here, we can also agree on slamming the door shut on one other narrative that’s been in the muck of basketball conversations for the better part of the last year. Once and for all, the status of GOAT is now unassailable for LeBron James, that no matter his achievements from today until he rests his weary old legs five or six years from now, he’s not ascending to the rarefied air where the man fittingly known as Air resides. Throw all the Michael Jordan comparisons out the window because as much of an all-timer as LeBron James is, the status of GOAT, and all the prestige that comes with it, is forevermore out of his reach. That’s not to diminish James’ accomplishments because his career is already cemented as one of the best to ever play basketball. Hate him all you want, insult his accomplishments as if they’re hollow compared to other greats, keep bringing up all his past decisions like those same decisions were personal affronts to your own character. Facts and history will say otherwise. This postseason alone, James became the leader in career playoffs point scored, registered the most triple doubles of any player who has played in the Finals, and became the first player in NBA history to average a triple double in the title-clinching series. None of these accomplishments matter in the scope of the title chase that he and the Cavs eventually lost to the Warriors, but they’re legacy-building achievements nonetheless. Yes, LeBron James is an easy player to root against. He can be arrogant to the point of indignation. He’s susceptible to head-scratching quotes from time to time (really, Lebron, the Heat and Cavs were not super teams?). He’s even embraced being a heel at some points in his career, a fact not lost on people who proudly refer to themselves as his haters. For once though, let’s leave out all of that hate, anger, and vexing. Put away the pitchforks, mute the catcalls, and set aside the trolling. For once, be fair to LeBron James the basketball player, not the polarizing man who is as guilty of bringing as much of this “hate” upon himself as those who engage in bringing it up every chance they get. When that's done, what you're left with is a singular force of nature, the likes of which the league has never seen and will probably never see again. What you’ll see is a man who is still perceived as the best basketball player in the world, regardless of the number of championships he’s won—a basketball player who remains to be the game’s ultimate trump card. 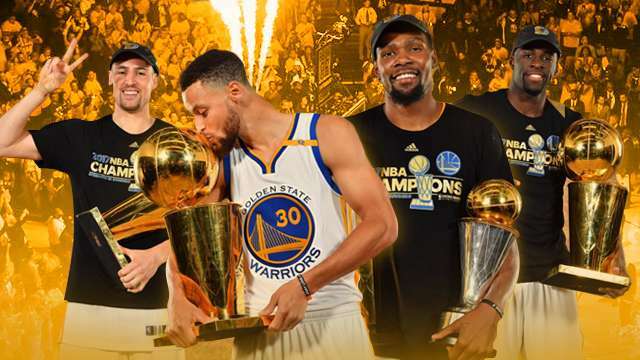 He may not have beaten a Golden State Warriors team that will likely go down as one of the best single-season teams in NBA history, but it wasn’t for a lack of trying. The man, after all, averaged 33.6 points, 12.0 rebounds, and 10.0 assists per game in the Finals. Did I mention that nobody has ever done that in history? 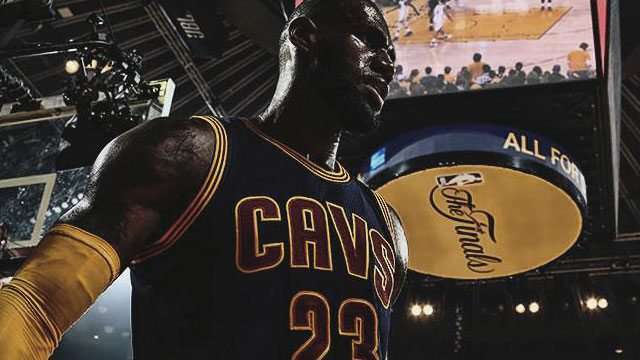 The narrative of the Finals shouldn’t be about LeBron James’ perceived shortcomings (how can averaging a triple double for the whole series and actually helping the Cavs outscore the Warriors when he’s on the court be considered shortcomings? ), it should be about the Warriors cementing their legacy as an all-time great team. It’s a shame that some people are incapable of shifting that narrative to its proper context because they’ve built up a well of hatred for the man. The only thing we can all agree on is that Michael Jordan’s GOAT status is secure. LeBron James isn’t getting that title. But just because that ship has sailed, it doesn’t mean that we can flush all his accomplishments down the toilet. Love him or hate him, LeBron James is one of the greatest basketball players of all time, and he doesn’t need the status of being the GOAT to validate that. Magic never did. Larry Legend never did. Kobe never did. LeBron should never have to. We can all agree on that, right?